Usually we can't seem to find time to get either of the older boys to both sit down and watch a movie with us as a family. They've always got something going on or really could care less about the movies we try to watch. 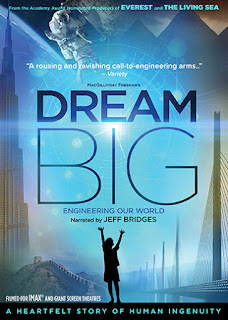 However, when I first heard about the release of Dream Big: Engineering Our World, both seemed quite interested. Being that they are both in Lego club and very into constructing their own designs or becoming entrepreneurs of some sort, I figured this would be one they'd enjoy. 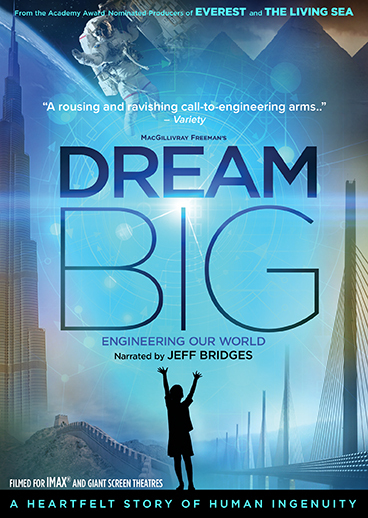 The synopsis says "Narrated by Academy Award® winner* Jeff Bridges, Dream Big: Engineering Our World is a spectacular look at man-made marvels that will forever transform the way you think about engineering. From the Great Wall Of China and the world's tallest buildings to underwater robots, solar cars, and smart, sustainable cities, Dream Big celebrates the human ingenuity behind engineering marvels big and small, and shows how engineers push the limits of innovation in unexpected and amazing ways. With its inspiring stories of human grit and aspiration, coupled with extraordinary visuals, Dream Big reveals the compassion and creativity that drive engineers to create better lives and a more sustainable future for all." Dream Big: Engineering Our World was released in a 2-DVD set by Shout! Factory on July 24th, 2018. The 2-DVD set "features an educator's guide and several pages of lesson plans and activities centered around engineering and the STEM disciplines". Not were the boys extremely interested in watching the movie, they have actually asked their younger cousin to sit down and watch it with them a 2nd time this week. As a Mom, I love that they are inspired by such an educational film which is outside their normal TV choice programming. 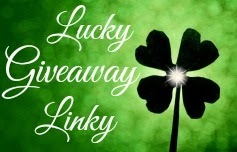 Giveaway: Shout Factory is going to give TWO of A Lucky Ladybug's lucky readers a copy of Dream Big: Engineering Our World on DVD to have of their own!